Each state in India has a different position and role. The state of Kerala is no exception. This unassuming state lies longitudinally on the western coast, in the southernmost tip of India. Wedged neatly between the Arabian Sea to the west and a solid row of hills on the east, this state has some of the most interesting elements, which go to make Kerala Tours one of the most sought after holiday packages in India. The most prominent feature of Kerala backwaters. Popular for its tranquil beauty and novelty, the backwaters are the ideal place for relaxation and connecting with nature. Formed by the convergence of sea water with still rivers, the backwaters stretch through a considerable part of the state, offering a panoramic view of passing towns and sights. The backwaters plough you past ancient churches, fishing villages and spice gardens. The swaying palms greet you merrily as you churn the waters. 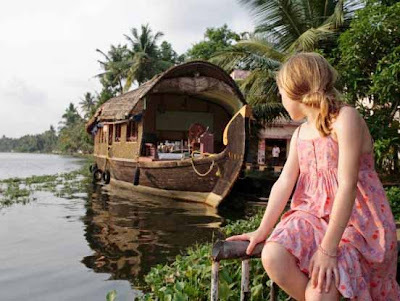 The backwaters are best experienced in quaint houseboats that are the local means of travel through them. However, there are several cruises that take you through the backwaters in greater style, offering heightened comfort and luxury. The pick is yours for the taking. 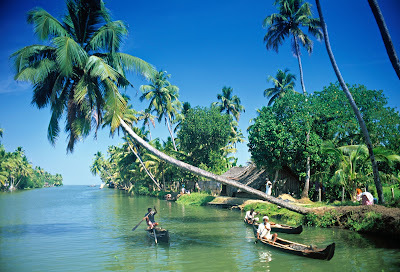 The main cities you are likely to pass on your backwater tour include Kumarakom, Alappuzha, Kottayam, Kollam and Kochi. As abundant as the backwaters are the numerous beaches that line themselves up along the western coast. Sparsely populated, but extremely picturesque, the beaches are among the most relaxing places in Kerala. The best place to slow down your tour, the beaches are the place to indulge in some sun, sip on some coconut water and watch little boats and ships dot the horizon. If you think that the beaches need to have much more to stoke your fancy, try some activities like sailing, surfing and rafting to get you going. The fishing villages are an extremely important feature on the Kerala tour. Not only since they are impressive with the use of ancient Chinese fishing nets, but also since the industry is extremely important to the state of Kerala. As the catch for the day are spilled onto the market roads and sorted by variety and size, there are cacophonic auctions, which bid for the prize picks. If you can manage to survive the pungent smell of the fish, this is one place you are sure to find plenty of action. When in Kerala, you just cannot afford to miss the call of the wild. The natural surroundings make Kerala an undisturbed heaven for several varieties of animals and birds. Some of these can be viewed along the coasts as you sift through on a backwater tour, but getting close to them is another thrill. Mixing the best natural scenes with rare animals is a new high. With different courses that allow you some rare experiences, try getting alone on an elephant safari and look down at murmuring streams, camp in the wild and experience the jungle by day and night, or even indulge in some bamboo rafting if you need more thrill. Come to Kerala and witness nature smile down at you. Your holiday cannot get better than this. Good article on Kerala,its wildlife,greenery and backwater resources.